After lots of discussion with parents we have created a homework system that is aimed at helping pupils develop core skills in literacy and maths but that also gives the opportunity for pupils to engage in more creative types of homework. Please find below all the documents relating to the new homework system. We ask all pupils to read with an adult at least twice per week. In the case of very fluent readers, this could involve time spent talking about their reading book, the plot and characters etc. Pupils' vocabulary range is a key element of literacy and this is especially important in terms of end of key stage assessments (SATS). Time spent talking with your child about unfamiliar words, their meanings, alternatives etc is crucial in developing a wider vocabulary. 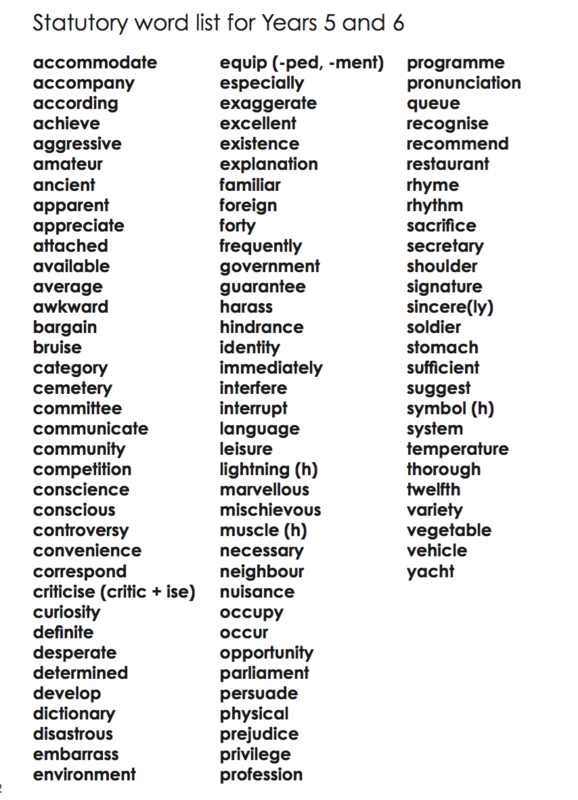 Your child is allocated a list of spellings each week that they will be tested on. These will be marked and returned home in your child's spelling book so that you can see how well they have done. See below for specific lists. Your child will be allocated a times table (depending on their recall of other tables). Each week they will take part in an assessment task whereby they have to provide the answers to as many questions relating to their focus table as they can within a specific amount of time. This may also include division facts. See below for guidance on which times tables your child should know depending on their age. If you would like to carry out more homework, further work on basic maths concepts is very valuable. See below for guidance on the areas of maths that would be most beneficial. Some pupils and parents prefer homework that is related to the wider curriculum, such as history or art. Each year group is given a series of optional homework tasks from which they can choose activities that they would find enjoyable to complete. There is no stipulation on how many of these that pupils carry out. By the end of Year 4, pupils should know their multiplication and division facts up to 12 x 12. By the end of Year 3, pupils should know their multiplication and division facts for the 2x, 3x, 4x, 5x, 8x and 10x tables. There are many different ways to learn multiplication tables - games and activities that are fun are often the most effective. The Kids' Zone section of our school website (under the Children tab) has several links to online resources that can be used to practise times tables (and other core skills). Here you can find the termly spellings that your child will be taught in class. Teachers follow planning, which matches the National Curriculum, over the course of each term and teach a wide range of spelling patterns and sounds. 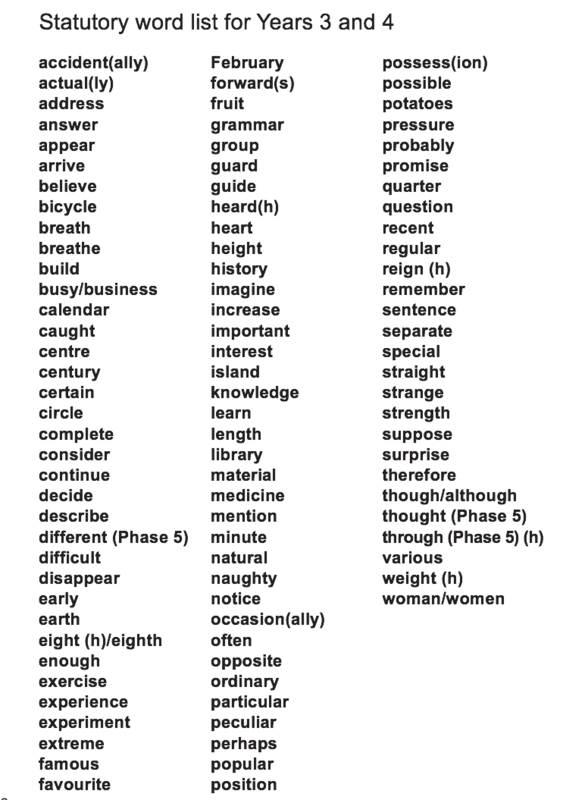 These spelling lists are for Years 3 and 4, and Years 5 and 6 and are derived from the National Curriculum. We have regular spelling lessons in school and children are tested weekly on the spellings that are send home. We will also be checking that they spell the words correctly in their own writing. revision/consolidation tool, rather than to enable new learning. To mark the 100th Anniversary of the end of World War One, we are joining in with other local schools to produce work that can be displayed both in school and in St Peter's Church. The poster below can be used for ideas, or you can produce your own. Please can the work be handed in for Friday 12th October for inclusion in the exhibition. We aim to split the work between the two sites (depending on how many pieces we receive).